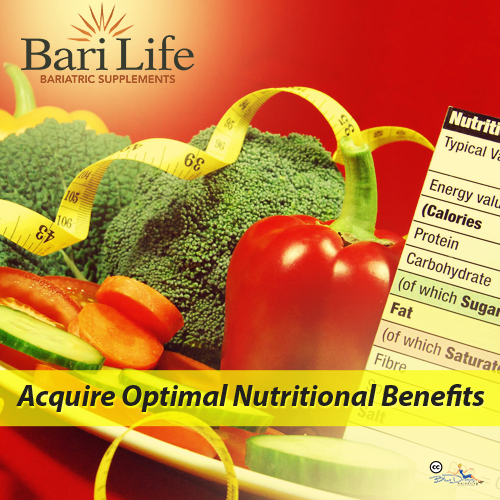 Bari Life bariatric vitamins provide optimum nutritional benefits. When you decided to have bariatric surgery you also made a lifelong commitment to your health. Do not put yourself at greater risk to develop a vitamin deficiency by not taking your supplements. Taking the correct dose of vitamins is one of the most important things to ensure you stay healthy long after bariatric surgery. Bari Life develops affordable and high quality bariatric vitamins that are highly effective and all in one bottle simple! Vitamin B12: Fatigue, depression, bleeding gums and memory loss are the common signs of deficiency. Vitamin B-12 is necessary for the proper brain functioning and building red blood cells. Thiamin: Extremely low levels can cause neuropathy and heart failure. Vitamin D and calcium: Low levels of Vitamin D and Calcium can increase your risk of bone loss and osteoporosis. It also causes some cancers and autoimmune diseases. This is because Vitamin D is required to help you absorb calcium in your body which helps in strengthening bones and teeth. The number of supplements one should take is often dictated by the type of procedure and the potential for malabsorption. Bari Life Bariatric Supplements provides a simple regimen for every type of procedure to give you the recommended nutrients and minerals you need post bariatric surgery. Nutritional deficiencies can take a while to appear, but they can be extremely serious when they do. Prevention is important! Make sure to have your lab work done regularly. Even if you follow all of your doctor’s orders and are religious with your vitamin regimen, deficiencies can still occur. However, with routine lab work, a deficiency should be caught early! And deficiencies found in the earlier stages tends to be much easier to treat as opposed to finding them late where there can be serious problems.